The package includes 24 pieces necklaces in total, enough for your spare and replacement in daily life; You also can use them to make your own personalized necklace, then send them as gifts for friends, relatives and other people. 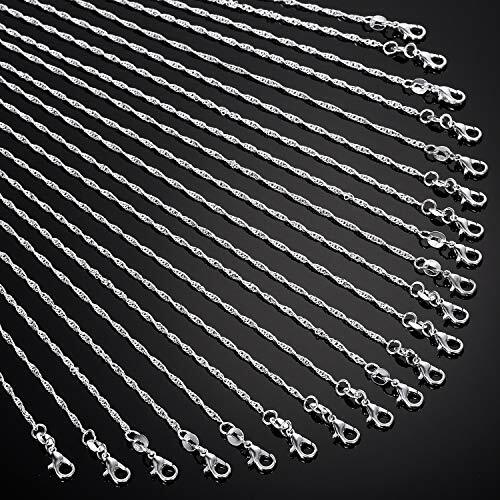 The link chains and snake chain necklaces are silver plated in brightening and shining color; They are durable and strong, good for making DIY crafts, jewelry pendants and so on. When you take a shower, please take down the chain necklace for a long lifespan.